Glistening gentle lakes shaped like delicate fingers soothe the land and its beholder. Ancient lore explains this unique landscape as the work of a spirit who laid hands upon the ground and left hollows filled with water. Modern lore talks of glaciers that gouged the land in retreat. Either way, the result is a radiant beauty in the deepest sense, a land truly blessed. 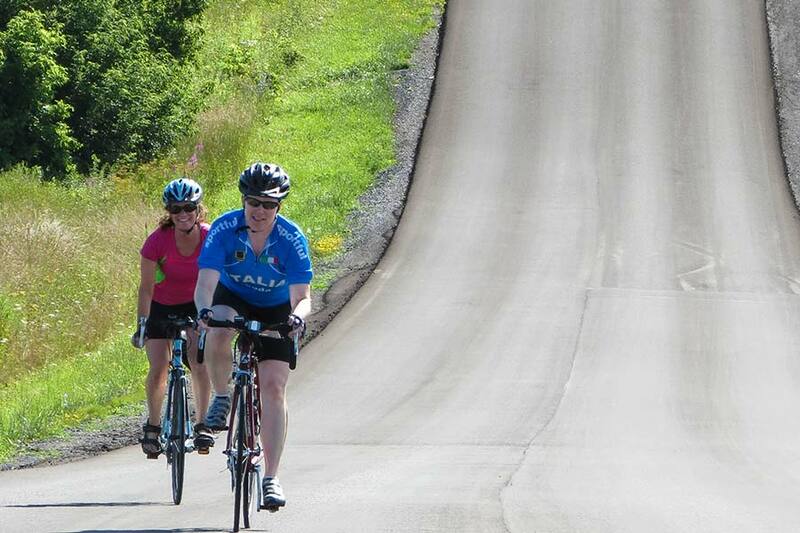 The Finger Lakes of New York sparkle. You see it in the water, taste it in the wine, and feel it in the simple charm of village life. 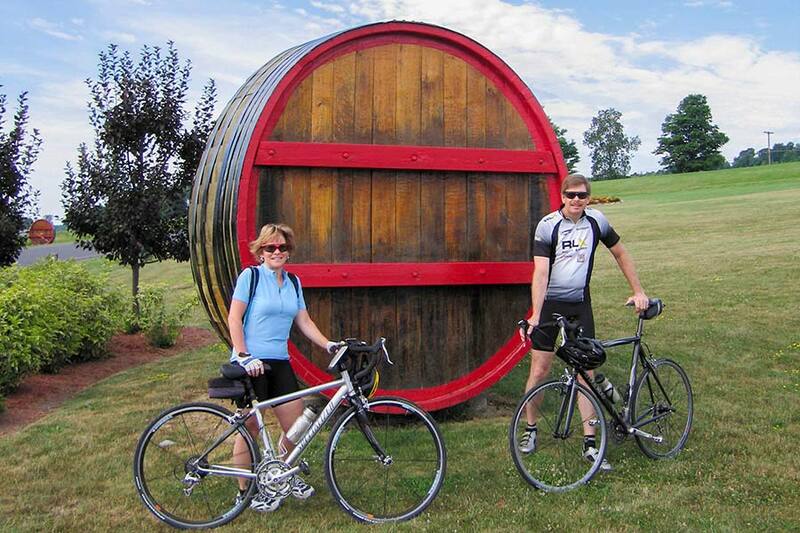 Days are filled with scenic vistas, history rich sites, top-notch vineyards, gourmet cuisine, and pleasant cycling routes. 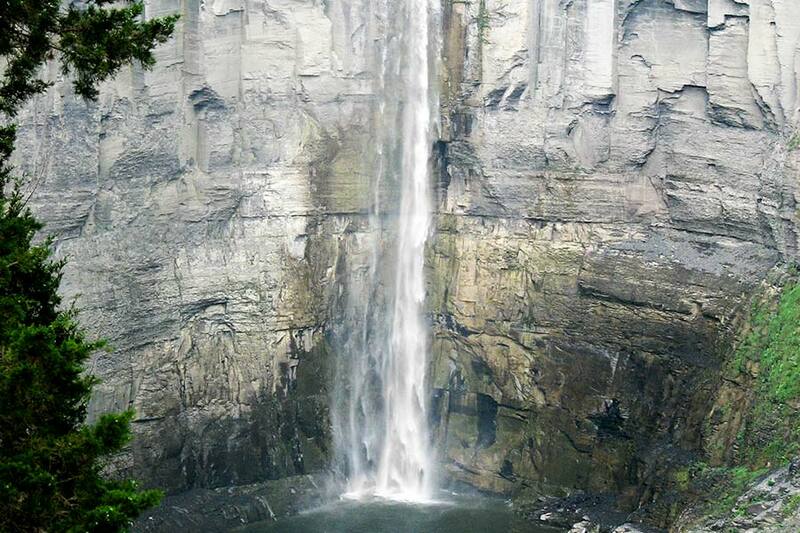 Boasting the highest waterfalls east of the Rockies, cascades, glens, colleges, hamlets, valley farms, quaint towns and steep hillsides dotted with vineyards. 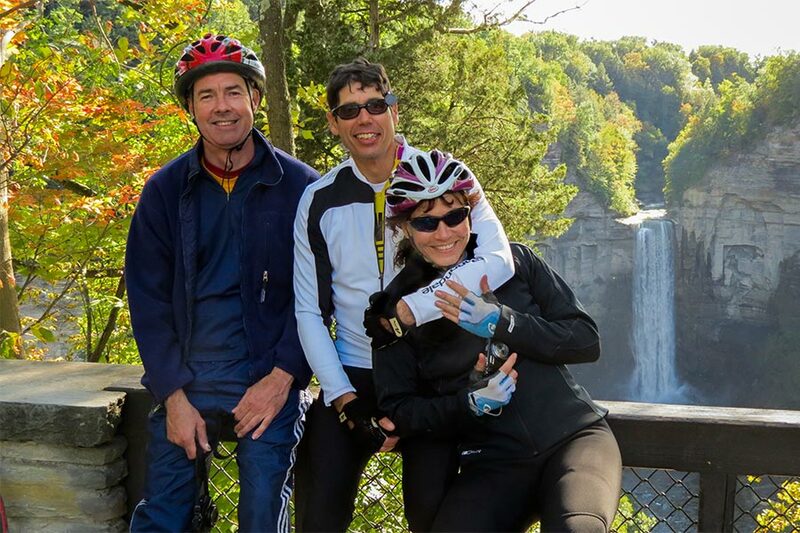 All of this, in addition to the sparkling waters of long blue glacial lakes, make the NY Finger Lakes a special bicycling destination not to be missed. A first class wine region that ranks as the second largest producer of U.S. wine. 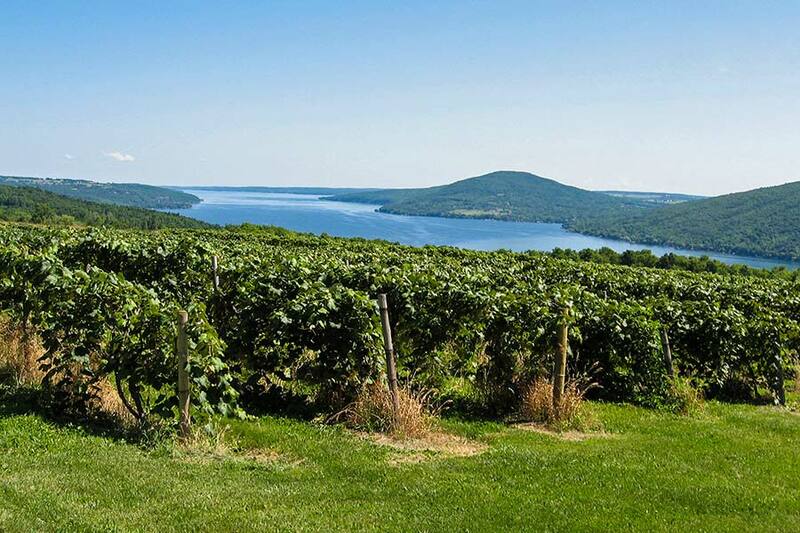 Fifty wineries that produce 85% of New York's wine, and give visitors a warm welcome. Historic lakeside inns with a reputation for fine cuisine. Picturesque villages that hearken back to a slower pace of life. Renowned historic sites that enrich your understanding of our country's heritage. Final farewells and then morning shuttle to Rochester, NY airport or back to your car. Rolling terrain with several moderate hills on most days.